First, what is an insulation energy audit? An insulation energy audit gives business owners, building owners and facilities managers a complete understanding of the true dollar and performance value of their insulated mechanical systems and piping. Developed by the National Insulation Association, the mechanical insulation energy appraisal process calculates the energy and dollars a facility or process is losing with its current insulation system and demonstrates how a more efficient system can save energy and improve process control and efficiency. In other words, an insulation energy audit shows which systems are under-insulated and calculates how fixing those systems will save the facility money and energy. Insulation energy audits show concretely whether there is a need for more or better mechanical insulation. Software and assessment programs designed specifically for this purpose calculate the amount of energy being saved with existing insulation systems or lost if the insulation is missing or damaged. They also determine the potential dollar savings that can be obtained by upgrading an insulation system or replacing what is missing. These programs calculate the greenhouse gas emissions that could be prevented; insulation thicknesses required for condensation control, personnel protection, and surface temperatures; and the estimated ROI. 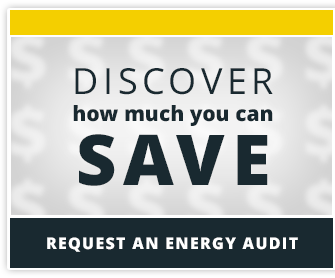 Speaking of estimated ROI, insulation energy audits provide the ideal documentation for proving the value of mechanical insulation to decision-makers. Because of the (potentially high) capital cost that an insulation overhaul could require, when presenting a case for funding, a high standard of justification is often required. Insulation energy audits help to provide concrete evidence that mechanical insulation would benefit the overall facility and company. During the energy audit process, the insulation professional will calculate the cost of a new mechanical insulation system for the facility so that the decision-makers have an idea of the ROI of a new mechanical insulation system. Several options for new systems can be presented, and the best one can be determined based on the facility’s goals and budget. What does this mean for the facility’s performance? While insulation with a lower thickness or a different material may help save money on the initial project cost, the system may have a reduced performance compared to one of the other recommended systems. The range of options helps decision-makers make more informed choices.